A Singapore company selling elderly phones calls the elderly sector, a growth sector and despite the challenges, is making its mark. Singapore company, Foresight Manufacture, has had its eyes on the elderly market since 2009. Its range of iNO handphones appeals to seniors especially with such features like a big number pad, siren and SOS button. And with its affordability (its first phone sold at less than S$80), what’s not to like? Kenneth Lau of Foresight Manufacture showcasing the new iNO phone. You started your company in 2008. Tell me more about your foray into the elderly sector and why. We launched our first product, iNO CP09, in June 2009 at the PC Show and it was a resounding success. We identified very early on that the elderly sector was destined to be a growth market while mobile phones were becoming a basic necessity for people of all ages. The CP09 was the result of addressing these two trends in one product offering. Large button keypad, built-in torchlight and SOS-alert (where one press of the SOS button triggers the phone to SMS and dial out to four pre-programmed numbers). What have been some challenges selling to seniors? It’s been a wonderful learning experience filled with anecdotes. One of them is this: Unlike youths and young adults who can tolerate niggles and bugs, we made sure our products are rock solid upon launch as seniors are less tolerant of faults. The upside is that they are more brand-loyal than the younger set. Can you share how many sets of your elderly phones have you sold in Singapore? Within two years of first product launch, we amassed over S$7 million in sales. The population of seniors is set to grow, not decline. Hence, we hope to have a larger share of a growing market moving forward. Our profitability challenges are not unlike those of other mobile phone manufacturers; it’s a numbers game. However, our plans are to innovate with new products and services, and make the game beyond just pushing handsets. You also sell military phones. Do you feel this is a growing segment and one to address your current shortfall in sets in the elderly sector? This is a niche segment. It’s also uniquely Singaporean, with our citizen-soldiers population and sizable defence-focused industries. Some of the products are really for the Singapore market only. Yes, admittedly the market is small but it gives us great satisfaction when our fellow NS brothers use our products. What other countries are you selling your elderly phones? How many sets sold in those countries? 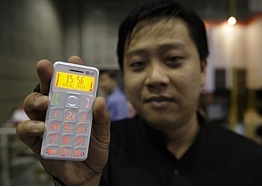 To date, the number of iNO elderly phones sold overseas outnumber those sold in Singapore. But we are only scratching the surface; we are active in five territories only ­– Taiwan, Hong Kong, Australia, Malaysia and Vietnam. The addressable overseas markets are a lot more than these five. You launched a new elderly phone in July. Can you share how it is different from your current elderly phone range? For the new elderly phone series, we are moving beyond just selling hardware. We will bundle consumer services along with the handsets. Pricing will be similar to our phones today, but the benefit of owning an iNO phone will move beyond better hardware features and functions. Naturally, the hardware will see a generational leap to support the new range of services. For example, the new phones will have colour screens and slots for memory card, to name a few. Moving forward, we envision the iNO brand to be positioned as a companion to our elderly customers and not just as a phone. This new business model will launch in August 2012 in tandem with our new generation phones. I understand you will also be launching a tablet this year. Can you share more details on the features, price, etc? We have not signed off on this programme hence we cannot give you concrete information. Tablets are a different animal from mobile phones as the technological advances and price support level shifts very quickly. Has your round-the-clock concierge service been launched? We are finalising the range of services to be launched along with the new generation phones. Health, wellness and leisure packages will be offered, along with concierge services. For example, we will soon be offering free pick-up and delivery when phones are repaired under warranty. Any lessons learned after each phone release? Consultant Hiroyuki Murata in Japan shared that the classic Raku-Raku (easy-easy) phone didn’t do well in Japan as it was not sophisticated and seniors didn’t want to be associated with the phone as it would mean they would have to admit they are old. Is this the case in Singapore or other countries you sell to? When we launched in 2009, the iPhone did not exist. Today, smartphones outnumber basic phone sales hence consumers are getting increasingly tech-savvy. I do not think there is a problem with seniors admitting they are old. I mean, if you are old, you look old. The issue, from my observation, is not that of “not wanting to admit they are old”, but rather not wanting to be seen with a conspicuous assistive device like a hearing aid and a walking stick. Fortunately elderly phones do not shout – “I have disabilities” – so I do not think Murata-san’s observations are as relevant here. In Singapore, do you work with the big telcos to sell your phone or is it direct sales? What about other countries you sell to? We have a working relationship with StarHub for some models while the bread-and-butter models are retailed at more than 50 mobile phone shop outlets and convenience stores islandwide. We are building an online retail channel for higher-end models as they appeal to the tech-savvy crowd. Currently, our phones are also distributed in the five countries that I mentioned above. What do you hope to achieve in the next five years? 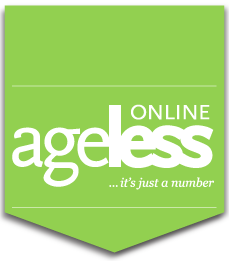 We hope to be a major enabler for active ageing. We can’t do this by being just a handphone manufacturer per se, but as a full-service solutions provider focused on providing a quality lifestyle to our seniors, with the mobile phone as the core technology platform. Ever since we pioneered the market for senior phones in 2009, several new entrants have come and gone. Serving this market requires commitment, dedication and passion. One cannot just get a cheap phone from a low-cost country, sell it for a few dollars’ profit and exit before the warranty woes kick-in. For example, our phones are IDA-type approved and backed by in-country warranty and repair support. While we welcome more players into the senior market, we disdain entities that covet to make a quick buck. C’mon. Our seniors deserve better.